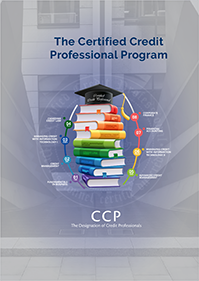 The Certified Credit Professional (CCP) curriculum is structured to ensure graduates are knowledgeable in all areas of credit management. Graduates are qualified to manage a credit department, whether the requirement is consumer, construction, mercantile or international credit. The CCP courses are selected and developed for the Credit Institute by leading subject matter experts with a focus on mercantile credit risk management. The CCP program is designed for independent study and enhanced by online learning and optional lectures. Obtaining the CCP designation can fit your busy lifestyle! Students have seven-years to complete the program, however, it can be completed as quickly as two to three years. Prior to graduation, students must obtain five years of practical experience in a credit position. Individuals employed in a credit-related position or aspiring to a career in credit are encouraged to enroll in the program. Recognizing that many organizations seek to hire CCP graduates or students for credit positions, the Credit Institute allows enrollment in its certification program even before obtaining related employment. New students are advised to register early to ensure time for transcript evaluation, software setup and computer skill development. Applications are accepted until the identified deadline dates. 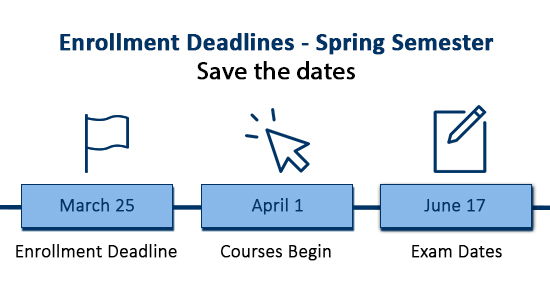 Applications received after the deadline may be considered at the discretion of the Credit Institute and will be subject to a late processing fee of $50 (plus HST). In today’s marketplace, well-rounded credit professionals must understand basic business fundamentals to succeed. This course provides an introduction to the general concepts of business and management. Topics covered include economics, marketing, industry analysis, negotiations, entrepreneurship, leadership and people management. The course also places an emphasis on the written and oral communications skills necessary in a business environment. During completion of this course, students are expected to use the skills learned to research and analyze data about a business. Part of the course work will require students to write and present an analysis of a business. This course provides students with the knowledge required to manage a portfolio of credit and accounts receivable. Topics covered in this course include: credit department policy, credit investigations, information systems related to mercantile and consumer credit, financial statement analysis, securities, risk evaluations, collections, bankruptcy and insolvency, and credit department organization and reporting. This course is specifically designed to enhance the analytical skills of credit professionals. The first half delves into some of the basic to intermediate features and functions of Microsoft Excel. Working through a series of audio video lectures, mini exercises and assignments, students learn how to slice and dice data to gain deeper insights and become more efficient performing their daily work. The latter part of the course takes data analysis to a whole new level. It introduces Power Query and Power BI. Students learn how to connect and extract data from different sources. They explore the ‘magic’ of discovering, refining and combining data for deeper business insights. Using the ‘get and transform’ function in Excel, students learn to perform various analytical tasks in a more meaningful way. The modules on Power BI provide an introduction to data visualization and sharing through dashboards. Students must have access to MS Excel, MS PowerPoint. These applications are available in digital format for purchase through the Institute of Canada: MS Office Professional Plus 2016 - $135.00 + HST. Canadian Credit Law is a unique course specially developed for credit professionals who need to understand how the Canadian legal system impacts their work. The information is presented in straightforward language that does not require a legal background. Based on English common law with references to the Quebec civil code, this course is of value to international students as well. This course covers specific, specialized areas of credit management. Students will become familiar with international credit management, construction credit management, leasing, piercing the corporate veil, U.S. bankruptcy law, credit fraud and introduction to E-commerce. In today’s work force, the use of information systems is ever-present. Ranging from order processing to predictive analytics, to accounting and credit risk management, information technology has become entrenched in almost every aspect of our work. This course presents some of the core principles of Management Information Systems (MIS) essential to many business functions. The focus is to equip credit professionals with the understanding that will make them better knowledge workers. After completion of this course, students will have an appreciation of what information systems can and cannot do, and be able to make meaningful contributions in the implementation of solutions to achieve business objectives. Note: Available through educational partners. The book can be purchased through Wiley for the digital version or the University Bookstore or other book resources – Amazon, Chapters, etc. Available once a year in the winter (January - April) term. Students are welcome to source out alternate Financial Accounting and Corporate Finance equivalency courses; most Canadian Universities and Colleges offer them. Students can check the transfer credits section for Financial Accounting & Corporate Finance equivalency. Please note, an evaluation fee and transfer credit fees will apply. If you have any questions, don't hesitate to contact us at 1-888-447-3324, we would be happy to answer any questions. Click here for more details on the CCP program. "I found each of the Credit Institute courses challenging, but also very rewarding. The ease of doing them online meant I could learn in the comfort of my home and on my own schedule. The course materials and topics were so relevant and I could apply what I learned immediately at work. Soon after graduating and getting my Certified Credit Professional designation, I was promoted - my company could see that my new skills were a great asset." Three years of practical work experience in a credit position and CIC membership are required. Successful completion of the CCP Program requires commitment, self-discipline, organization and planning. The entire program is designed for online delivery. The use of Internet/web-based technologies provides students with a wide range of support opportunities, including access to an online course tutor and study group. The program is administered through four sessions per academic year. It is suggested that students enroll in at least three of these sessions per year. Each CCP course incorporates weekly lessons. Online assignments and quizzes evaluate students' progress and are assessed for up to 50% of the final course grade. For information on specific course and other assignment related details, consult the Student Handbook . A three-hour examination is written at the end of each course. The final mark for a course is calculated as a combination of marks obtained on term assignments and the final exam. The minimum passing grade is 65%. Textbook material on publishers’ websites may require additional software be installed.